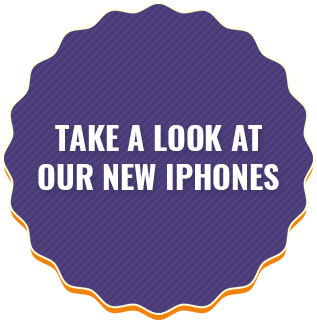 If you love cutting-edge smartphone features, then Appleâ€™s iPhone range is sure to cater to your needs. With next-gen features such as 3D Touch, Wireless Charging, and Animoji, you can enjoy the latest innovative tech. Apple’s iPhones are some of the most popular tech around, with Apple announcing their billionth iPhone sale back in 2016. They’re well known for being reliable, user-friendly and long-lasting. 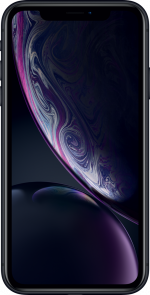 Find your perfect iPhone today, and if you aren’t sure which cheap iPhone deal to get, take a look at our blog to discover which iPhone is right for you. You’re guaranteed an efficient operating system when you buy Apple. iOS updates are provided on all iPhones, to keep older devices going strong. 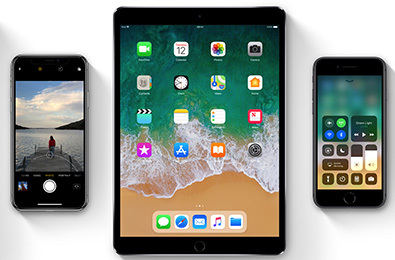 Apple recently announced the release of the new iOS11, raising the bar for mobile operating systems and tablets. This added lots of awesome features, with new augmented reality games and apps. 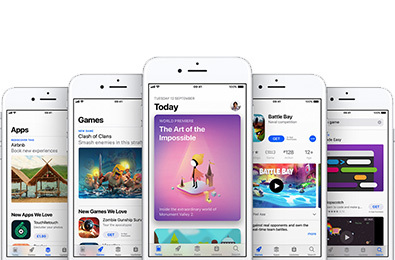 Launched in 2008, The App Store was an immediate success and is key to the full iPhone experience. The App Store started out with just over 500 apps, and in two short years grew to 300,000 apps and 7 billion downloads. Today, the App Store features well over 2 million apps, letting you enjoy the latest games, products and services, wherever your day takes you. 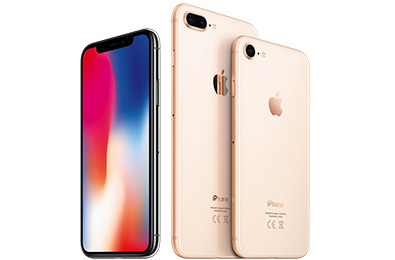 Apple have their own instant messaging service, iMessage, which arrives as standard on all current iPhones, giving you the option to send messages and other content over data or WiFi. 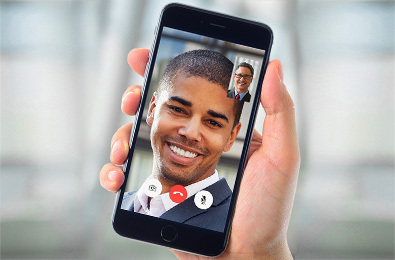 iMessage has all the latest features to easily send pics & emojis, and with the addition of FaceTime - the video and audio calling service â€“ it's easier than ever to keep in touch. 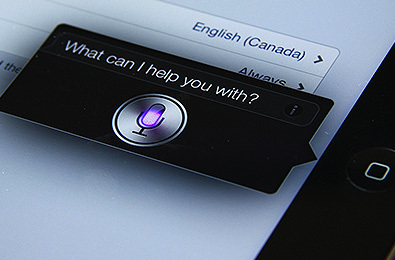 Siri is every Apple owner’s convenient personal assistant, ready to assist at your every request. Debuing with the iPhone 4s, Siri was in instant hit helping with voice-based queries like â€œWhatâ€™s the weather like?â€ or requests such as â€œReserve me a table at my favourite restaurantâ€. Siri can also be used to set reminders, request directions, search the web, and much more besides. Apple have gone a step further adding Retina HD display to the iPhone 6 and beyond, meaning a top notch view experience for all. 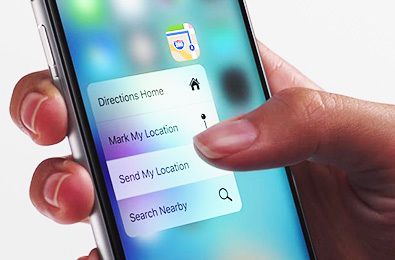 The iPhone 6s and iPhone 6s Plus brought us into the innovative world of 3D touch. Vary the pressure of your tap to preview app content, act quickly on those important alerts mid gaming session, or even express your inner artist with the pressure sensitivity drawing. 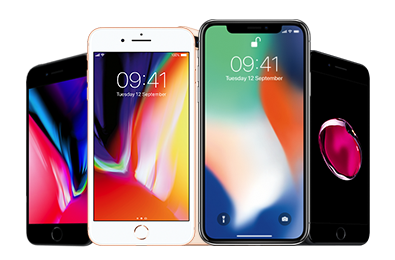 The iPhone’s tenth anniversary brought with it a brand new family of handsets, all with a range of impressive new features. 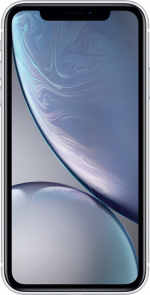 First up, thereâ€™s iPhone 8 and iPhone 8 Plus which boast a reinforced glass body, intelligent cameras, the multi-tasking A11 chip, and the arrival of wireless charging. 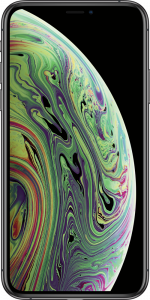 Let’s also not forget the big screen iPhone X, which takes things a step further with an eye-catching display that occupies the entire front of the device. This cutting-edge device also features face-recognition tech for next-level security.